Check out these funny shows on iflix! Appealing to everyone out there who never quite managed to bloom in high school, Awkward is about the life and times of teenage misfit Jenna Hamilton. It’s so relatable it hurts! We're sure you've heard about this iconic show about a group of 20-somethings living in NYC. Can you say #SquadGoals? This mockumentary perfectly showcases how families nowadays come in all shapes and sizes as it follows the daily lives of the extended Pritchett family in Los Angeles suburbia. For the techies out there, here’s a show for you! Who would have thought a show about the mundane lives of the—you guessed it—IT department of a fictional company would be so funny? Because when you imagine NPH, how can you not immediately think: awesome? Which is why he’s the one hosting this variety show that features everything from magic tricks to sword swallowing to trapeze acts. Comedy great Wanda Sykes flexes her comic skills once again to deliver fresh rounds of laughter to her audience. This sassy stand-up comic queen has a knack for finding her audience's funny bones, so you can count on her to have you ROFL-ing through and through! Regarded by many as one of the best animated shows of all time, Futurama is an irreverent, sci-fi “grown-up” cartoon that you definitely need to give a try. Ever wondered how you’d handle the extreme Asian-American culture clash in the 90’s? Then watch this show’s humorous portrayal of a Taiwanese family moving from Chinatown DC to Florida and its barely there Asian community. Being P.C. is not an option in a Russell Peters show. The world-famous funny man is in his element here, cracking his most hilarious, most irreverent lines alongside other equally impressive stand-up comedians. 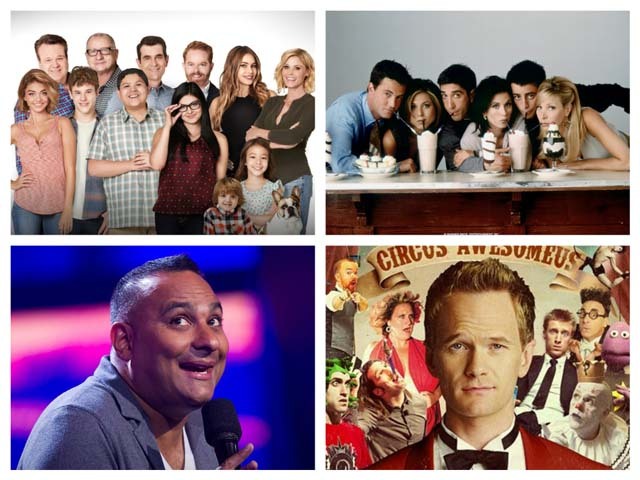 Trust us, this 2014 Just For Laughs special is a gem worth tuning into! If you love stand-up but have really, really high standards, rest assured that you’ll only be hearing comedy gold from this show which has only the best of the best up to bat. Let’s face it, the world can get you down sometimes. Which is exactly why it’s a-ok to want a break from the craziness of real life every now and then. Join iflix now and get 1-month unlimited full access to all these quality comedy shows that will surely give you a good, long laugh every time you tune in. Trust us, you deserve it!